Burning the house da fuk down to Seven Enemies in the gym today. I love this song by Hatebreed and Saturday!! I’m set to kill it on chest soon… cold… dead… buried… for real. Good God, I straight murdered the treadmill yesterday. It was my day off and I killed 2.5 miles running during lunch like nada. My eyes glossed over and my mind was weightless. I followed that up with a murderous session of abs on my day off from the weights. 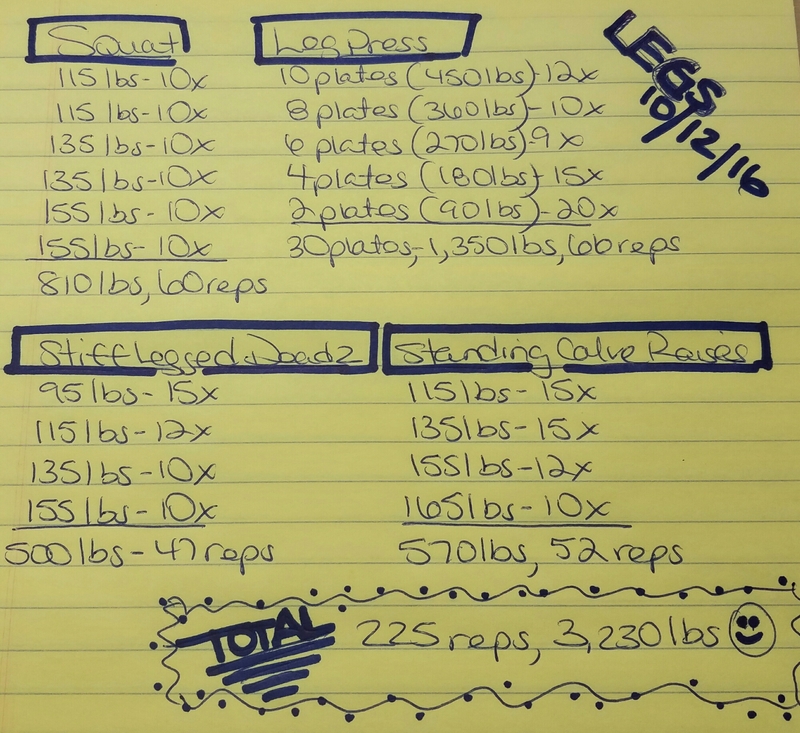 Today I loaded the leg press with 450 to start. I pushed 10 plates in a non-stop drop set of 66 reps. I’ve been hitting at least one non-stop drop with each workout. That was after squats, stiff legged deadz and standing calve raises. I drew strength from my burns and inflictions along the way. One thing I love about myself… I have no problem converting negative energy into gainz because “I was born to bleed, fighting to succeed… built to endure what this world throws at me.” Iron reminds me everytime that “those who sow in flames in ashes they shall reap. This song has been **firing** me up as of late. Thank you… Thank you… Thank you to my friend Elaine of the Fellowship of Iron Maidens for introducing me to In This Moment. Forever indebted to her♥ for the fire I’ve been getting from Big Bad Wolf. It is the perfect song for how I’ve been feeling lately! Loving this new song~ Nick and Tove are perfect. Close… just a made up word.